In just three weeks, we all get to see the anticipated devices running RIMs make-it-or-break-it Blackberry 10 operating system, and to assist in what RIM hope will be a massive success, they plan to offer Blackberry 10 across a wide variety of prices. Reports claim that Blackberry will aim devices at the low, middle, and high end of the spectrum, matching the hardware of the specific device to compete with competitor phones at that level. 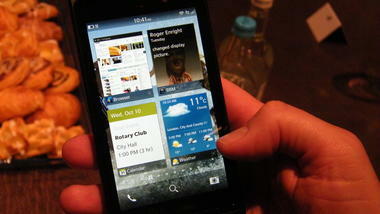 That means we should see a Blackberry device with similar specs to the iPhone 5, Nexus 4, or HTC Windows Phone 8. It also means we should see some budget devices to compete with the low-end HTC smartphones in an attempt to saturate the smartphone market and claw back some of it’s lost market share it has forfeited to iOS and Android over the past few years. RIM Chief Marketing Officer Frank Boulben has been at CES 2013 this week showing off Blackberry 10 and promoting it before the January 30th release date. However, despite wanting to offer a whole range of price points, RIM are expected only to unveil two separate models on January 30th, with further models being released at a later date. Those models are expected to be the leaked Blackberry Z10 which is a full touchscreen handset, which will be offered alongside a more traditional RIM device with a full qwerty keyboard called the Blackberry X10. 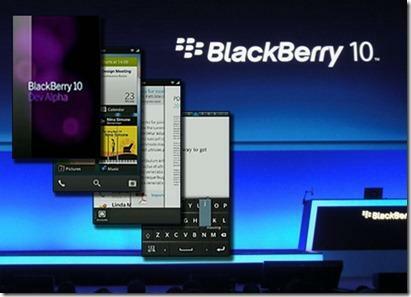 RIM will introduce at least six BlackBerry 10 models in 2013, none of which will be offered exclusively to any worldwide carriers, so availability should be good. Whatever the price, it is the experience that is going to be important for RIM, in what can be argued as their final push for success in a smartphone market that is becoming increasing crowded as the weeks progress, for a company that once had the market in the palms of their hands are now looking at a huge mountain to climb.